Glenvill has been at the forefront of Australian residential design for over six decades. Our journey began in 1958 when we built our first home. The Glenvill brand quickly become a household name synonymous with exceptional quality and style. Since then Glenvill Homes has cemented itself as a specialist in premium and high-end housing. 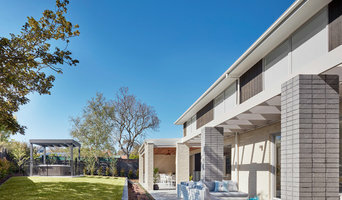 Our unwavering commitment to be Never Ordinary has seen Glenvill gain an industry leading reputation and becoming Australia’s most awarded builder along the way. As a custom home builder we approach our designs in two ways. Glenvill’s range of quality homes can be crafted to suit each customer’s needs, or we can start from the very beginning using our Bespoke design service. Glenvill fuses design and construction, harmoniously delivering builds within set time and budgetary frameworks. Orbit have been building outstanding new homes for families in Victoria and Queensland for over 35 years, so we have a thorough understanding of your need for a very individual home that suits your lifestyle expectations. Expo Homes is a family owned and run business with over 25 years experience in the building industry. As a residential building company Expo Homes specialises in customised quality built homes. We adopt a small business culture that is recognised for its dedication to clients and a hard working ethic. Expo Homes’ success is based upon guaranteed direct personalised service. We work closely with our clients to ensure collaboration of personal requirements. We strive on our ability and willingness to listen to and research client needs and expectations to deliver affordable and sustainable living solutions. Our business culture gives the client the ultimate in service and quality assurance through consistent direct contact with the project manager. Expo Homes prides itself in providing premium quality workmanship. We use only experienced, qualified and reliable tradesmen to deliver uncompromised quality in all our projects. Furthermore we use only trusted builder suppliers to provide the latest, most energy efficient and dynamic building materials. 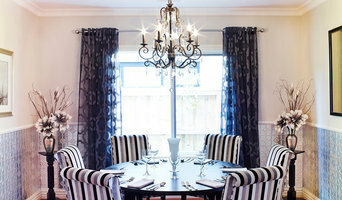 Thus all our custom built homes have a minimum 5 star energy rating. 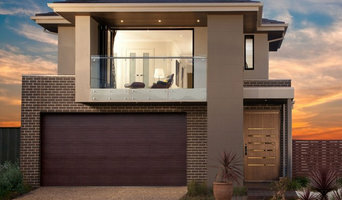 Carter Grange is an established homebuilder in the greater Melbourne area. Our homes combine strong architectural lines, quality inclusions and affordable pricing. Personalised service and customer focus are the foundation to our philosophy: to design and build homes with passion. 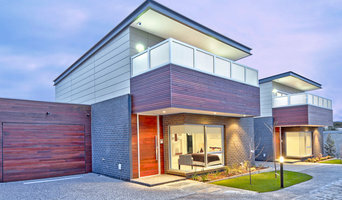 Smith and Sons Renovations & Extensions Cranbourne are premier Home Builders: we specialise in renovating, extensions, building and remodelling properties in Cranbourne and surrounding areas. Whether it is renovating an en-suite or laundry, or undertaking a full renovation or extension, Smith & Sons Renovation and Extensions has the expert understanding, knowledge and individual approach to ensure that every aspect of your project is completed to your highest expectations. With Hayden Loomes of Smith & Sons Renovations and Extensions you will be dealing directly with a builder who has had 20 years’ experience in the industry. You will find no hidden costs or unpleasant surprises; Smith & Sons Renovations and Extensions just offer highly competitive and realistic prices with quality old fashioned service. Hayden and all our tradespeople are specialists in their trade and fully qualified. 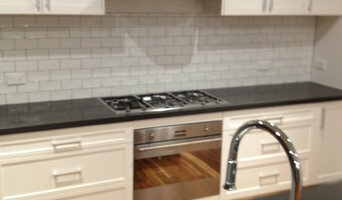 We will manage all areas of your restoration from design and concept through to fitting off of final fittings. Smith & Sons tradespeople arrive promptly, ensure minimal disruption during the project and tidy up on completion. Award winning, record breaking home builder Knight Building Group is the perfect answer for your next building project. Knight Building Group offers a one stop building solution for your dream home including, Design, Planning, 7+ Star Home Construction, Interior Design and Complete fit out. Knight Building Group home builders continually sets the standard when it comes to building luxurious designer and sustainable homes in Melbourne. So if you are looking to build your new dream home in Melbourne, you can't go past Knight Building Group - Builders of High Quality Designer Luxury Homes. Baroque Developments are a boutique building company specialising in bespoke classical and contemporary homes. We are a family business, taking pride in developing strong relationships with our clients throughout the entire building process to make the creation of their dream home memorable for the right reasons. Constructing Spaces is an innovative residential builder. Constructing new homes, renovations and multi – dwelling developments of the highest quality and workmanship. elder is Melbournes north west most awarded builder of the last twenty five years having amassed 29 indiviual Housing Industry Association and Master Builders Awards, specialising in Period Homes with Contempoary intergration, a boquteic builder, elders reputaion is unsusopassed in quality, attention to detail and relationship building. PLANtoBUILD homes aren’t investments, ‘moment in time’ projects or design experiments – they’re cherished lifetime homes rich with style, character and considered points of interest. Founded by Joseph Gatt, Toronto Developments began as a small scale construction company and has since expanded with the capacity to build all types of domestic and commercial projects. In the 30 years Joe has been building he has completed in excess of 800 projects, with a focus on multi unit, apartment buildings and town house developments.